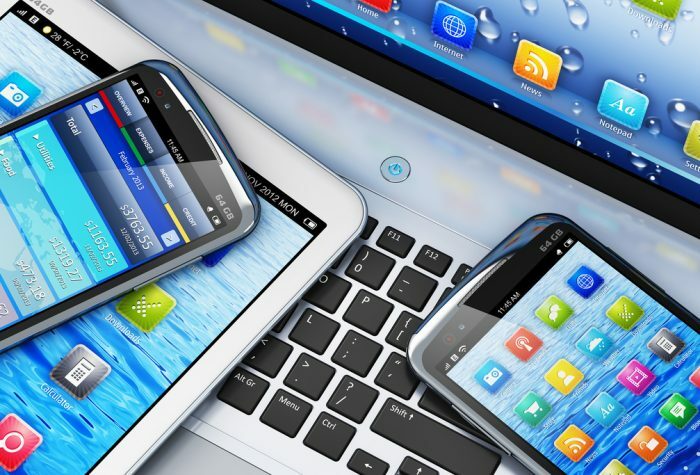 Was 2016 The Year of Enterprise Mobility Technology? In late 2015 and early 2016, tech experts gave their predictions for trends that would affect the coming year. There was much talk about topics like the rise of marketing automation and the increasing importance of cyber security, but there was one star of the show: Nearly every expert mentioned enterprise mobility. I’ve written about how this trend is helping to evolve the role of the CIO. Now, let’s detail the top five enterprise mobility predictions and explore whether 2016 has delivered. The ability to work on any device, from anywhere, and at any time will become less luxury and more table stakes. The flexibility offered by devices in this always-connected, uber-mobile workforce is unparalleled. Fellow Futurum analyst Daniel Newman recently created a video on this topic as it relates to trends on the digital transformation scene, showing just how widely applicable mobility is across a variety of core business functions. This trend will only increase in popularity as the face of the workforce continues to change. For example, Deloitte reports Millennials have the largest share of the U.S. labor market, and their 2016 Millennial Survey found these young decision makers rank flexibility—including remote work and flexible hours—in the top three priorities behind salary. The number one response? Work-life balance—which, ironically, also has roots in the anywhere, anytime, any device discussion. To boost efficiency and streamline operations, companies will turn to mobile cloud computing. Now that cloud has shifted from business buzzword to business staple, companies are starting to incorporate the focus on functionality offered by cloud into their mobility strategies. For workers, mobile cloud computing (MCC) provides real-time access to all the tools they need to do their jobs more efficiently. For businesses, MCC architecture systems can mean more productive employees and fewer struggles with data storage, among others. Businesses will begin to bolster their mobile strategies by turning to mobility innovation for revenue. Companies can do more than benefit internally from the push for mobility tech—if they thoughtfully innovate within the space, they can profit from it, too. In 2015, Gartner predicted consumers’ mobile engagement would drive mobile commerce revenue to a whopping half of the entire digital commerce revenue tally for the U.S. by 2017. There’s a lot of room for brands to capitalize there by offering new value to their consumers through services, apps, or products that cater to mobile devices. There will be a rise in companion apps that work in conjunction with desktop apps. The push toward mass adoption of MCC architecture systems has a secondary effect closely associated: an increase in the number of companion apps for mobile devices that don’t replace but work with desktop mainstays. It’s another step toward interoperability—a crux of successful enterprise mobility tech initiatives. The IoT will be used often in the workplace, often focusing on the health of employees. When asked his predictions for enterprise mobility in 2016, Bob Egan, Chief Research Officer at Sepharim Research, gave a nod to the increasingly powerful Internet of Things (IoT). According to Bob, “. . . We’ll enter an era very much focused on apps for work and for getting things done, [which are] likely to be tied to the IoT—whether it has to do with helping employees become or stay healthy, or hospitals and how they triage, fix and rehabilitate people.” The logical jumping off point here is the wide selection of wearables available today—a blooming market projected to be worth an impressive $34 billion by 2020. Judging from the discussion of the five trends above, it’s clear to me: Yes, 2016 was the year of enterprise mobile technology—so far, that is. And you can best believe that this is just the beginning of the boom. We’ll continue to see this market grow for several years—as that happens, we’ll keep you updated on what the trend means for your business. Stay tuned. Shelly Kramer is a senior analyst at Futurum Research and one of the founding partners. She covers trends in B2B marketing and sales, digital transformation, customer experience, and marketing technology. She also covers topics, trends, and technologies related to the Future of Work, the transformation of the workplace, and how people and technology are working together driving that transformation. As a brand strategist, she has decades of experience helping global companies with sales and marketing challenges, messaging strategies, and driving strategy for B2B brands across multiple verticals, with a strong track record in software technologies and all things technology-related. Shelly offers valuable insights for enterprises of all sizes.